Knitting and weaving plus Alaska, sock recipes, and fresh starts in this longer-than-usual episode. Kelly has finished almost all her works in progress (WIPs) and is contemplating a clean slate on her Ravelry project page. She finished the woven blankets, using over 4400 meters of yarn in the process. She also finished the Sockhead Cowl that she had been working on last episode. She still has one Sockhead Cowl on the needles and plans to finish it by the end of the weekend before classes start on Monday. 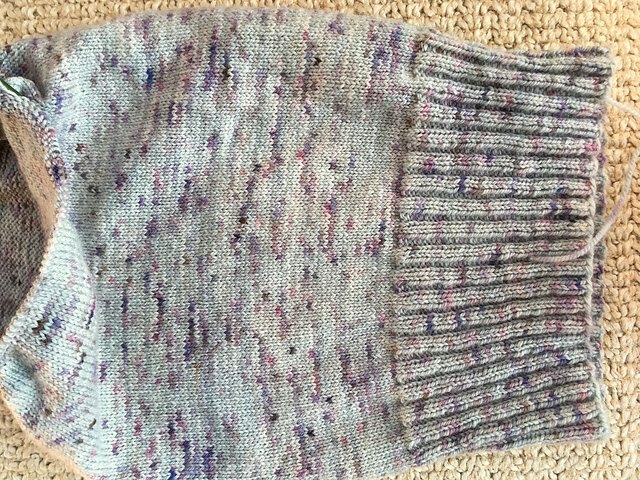 The yarn is Tassie Merino from Handmade Travels and it is so nice to knit with. Kelly plans to rip out the socks she's making from a sock blank and give that yarn a chance to be something that will better show off the long gradient. She also contemplates ripping out the small start she has on the Coloresque Wrap. But that will have to wait until she can find it. The yarn for that project has gone AWOL, perhaps because it really wants to be something else! The pattern is still intriguing, but she'll plan it with a different yarn combination. 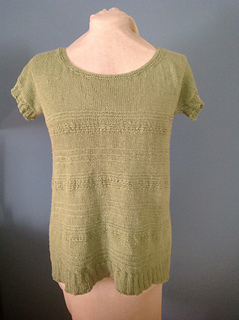 Marsha finished her Summer Fjord T-shirt by Trin-Annelie knit with Fibra Natura Flax. The top fit beautifully and the 100% linen is cool and comfortable. 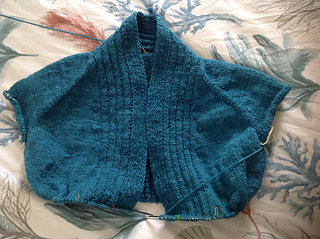 Marsha started a new cardigan, Iba by Bonne Marie Burns. She is using the textured Raucus Rambouillet yarn from the Two Ewes Fiber Adventures shop and loves knitting with it. looking at Marcia’s new sweater, I thought I might like something similar in that yarn, but alas, no sweater quantities available. :( Suggestion: under each entry you might indicate how many available so the purchaser doesn’t have to add to cart and then click quantity and find out only then there was only 1 skein. where’s pictures of the woven blankets? I would love to see them, as I too am putting an orphan warp on the loom (no cross tied—FUN!) for baby blankets.